Social skill board games for autistic children need to have goals for improving social interaction, challenging thinking skills, and enhancing motor skills. Most importantly, they need to be educational. According to the University of Chicago's website, autisim is a "brain disorder that begins in early childhood and persists throughout adulthood; affects three crucial areas of development: communication, social interaction, and creative or imaginative play." (University of Chicago). You can choose from a number of classic board games or games specifically designed for the autistic child in mind. These games are broken into two groups: ages three and up and ages seven and up. Do Games Make Kids Smarter? Bambino Dino! introduces cooperativeness. Baby dinosaur is enjoying his dinner in a canyon when water arrives, flooding the canyon. Players must work as a team to keep the water level down and not to let Baby dinosaur go hungry. Use Tools and Food in your quest to save him. The Secret Door is a social skill board game for autistic children and teaches teamwork, brainstorming, and communication. Valuables have been stolen from a mansion. Players search through the mansion for clues in order to find the thieves, who may get away if they are found by midnight. Autistic children can become part of a team with an open forum for discussing strategies on solving the mystery. DGA-TV lets players become producers running a television station with seven shows. Woo the public with award-winning programs while avoiding bad network executives and low ratings. This game is about communicating as a team and decision-making.There is also a Jigsaw Mystery Pack that contains four games in one. Players assemble a puzzle which contains a picture mystery that needs to be solved. Each mystery has 40 clues and sealed envelopes contain the answers. One large benefit to using this game is that 12-36 players can be included on one puzzle. Let's Go Sailing is another social skill board game for autistic children that involves lots of cooperation. Go from Home Dock to Island Port avoiding reefs, wild seas, and advancing your boat. Each player gets a set of cards to use not as individuals, but in service of the team. Reaching your destination gives you rewards: milk and cookies! This simple game can teach quick-thinking and problem-solving. Sometimes called Poker Dice, you roll the six dice and pick out the ones you want to keep and roll again. Try to create two of a kind, three of a kind, two pair, full houses, etc…just like poker. This game reaches into their vocabulary. Autistic children can also learn some strategy in figuring out where to place their words. One variation that can teach teamwork is to play Scrabble Jr. with teams of two or three. 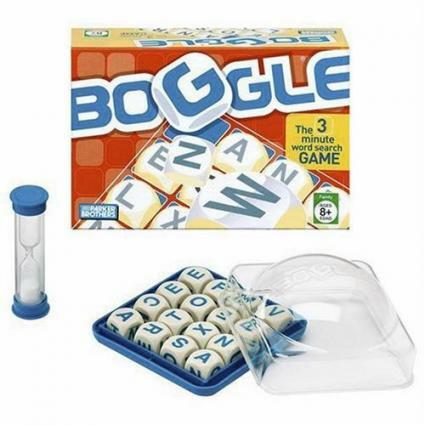 Another word game, Boggle also encourages quick-thinking. You shake the box of dice with letters on them, and they settle into grooves. On the five-by-five grid, you create words of three letters or more. Make as many as you can in one minute. Like most of the classic games, you can have teams in Boogle so that players work together, talking and communicating with each other. Instead of hotels and Baltic Avenue like regular Monopoly, Monopoly Jr. makes owning real estate fun. You own lemonade stands and your goal is to increase the number of stand you own. Learn compromising, negotiating, and communication in this light-hearted game that can suit autistic children. If you have an autistic child and are searching for board games to challenge them or to improve their social interaction, look towards a number of games specifically designed for autistic children or learning disabled. You can also use some classic games to get them involved. Keep in mind to use games that teach cooperation and teamwork, and also work their cognitive skills. Stay away from intense and competitive games because they will teach the opposite of what you should achieve.